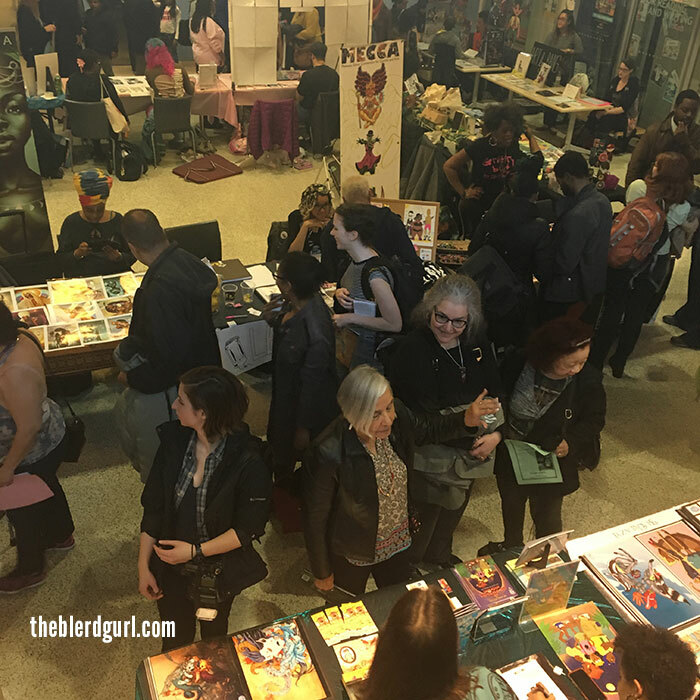 If you missed the 2nd Annual Women In Comics Collective Convention on March 12 you really missed out on something special, here is a wrap-up of the events and some links for you to check out what you missed! 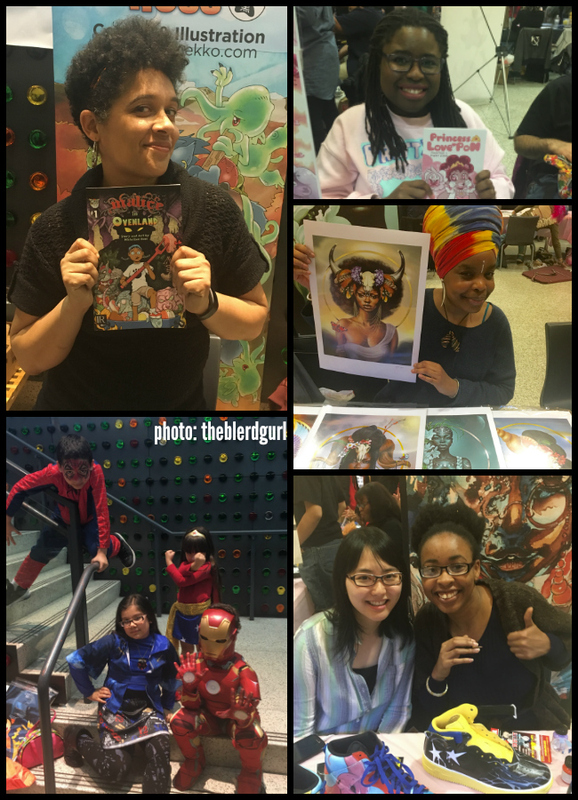 This year’s WiNC Con event, at the New York Public Library Bronx Library Center at 310 Kingsbridge Road in Bronx, New York was by all accounts a success. With over 1000 attendees that Saturday, between the hours of 1pm-3pm it was practically standing room only. WinCCon has really given a voice and an outlet to many women in comics, from veterans like Alitha Martinez (Yumi and Ever), Micheline Hess (Ovenland), and well as to newer artists like Shauna J. Grant (Princess Love Pon), Savannah Zambrano (UnLazy), Juliana “Jewels” Smith ((H)afrocentric), Julie Anderson (VE:Dead Breed) and Rika Takashima (‘Tte Kanji?). Not all of the vendors were comic book artists either, successful children’s book author Sara Wooley, (Charlotte and the Quiet Place) and amazing visual artists Sheeba Maya and Alice Meichi Li were also there selling their work. There were also vendors who advertised services and non-profit organizations like Stormy Riot of Geek Girl Strong, a fitness website and Fly Orr who was there representing the Lower East Side Girl’s Club – Comics Club who has a really great after-school program for girls teaching them how to express themselves through sequential art. WinC Con not only showcased female creators, there were plenty of male artists there selling their work and showing their support as well. Javier Cruz Winnick, (A Reason to Smile), Robert Garrett of XMoor studios (Ajala), Tim Fielder (Matty’s Rocket), CF Godwell (Nukleus) and an artist I’ve been following on Instagram for a long time Ed Watson was also there showcasing his amazing work. In addition to the main room there was a full day of panel discussions on a variety of topics including: Gender and Sexuality in Comics, Discovering Careers in Comics,Self-Publishing vs Publishing, Art Portfolio Building, World Building & Character Development,Spotlight on artists Phyllis Novin, Barbara Brandon-Croft and Phil Jimenez. 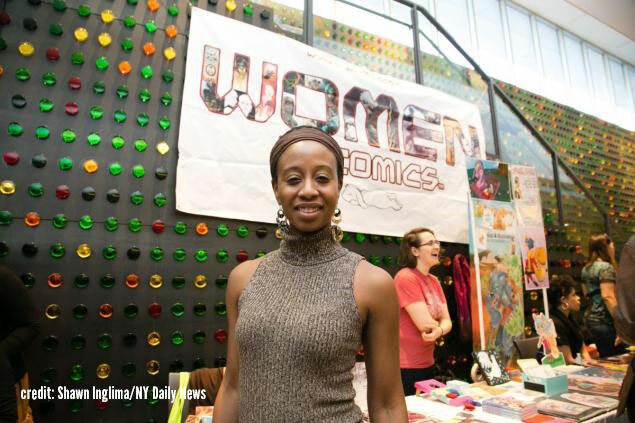 There were art, writing, and game development workshops and even a Women in Comics Cosplay Showcase, which was even highlighted in the Daily News! There were also performances by Dance Africa and “Last Days of Kartika”, a mixed media performance by WiNC member Dusky Diana. For more information on the Women in Comics Collective New York International, check out their website. Robert Garrett, FoxyJazzabelle, WiNC, George Carmona and Shawn Inglima all contributed images and video to this post. Thank you! @theblerdgurl is a commercial film/video editor by day and comic book reading, anime watching, TV live tweeting, K-Pop listening, blog writing, geek gurl by night. She is on a mission to shine a light on indie, female and comic artists of color and highlights them and their work on her blog theblerdgurl. She currently lives in a century old brownstone in Brooklyn with 2 cats who plot her demise daily. You can also find her on twitter, facebook, instagram and tumblr.